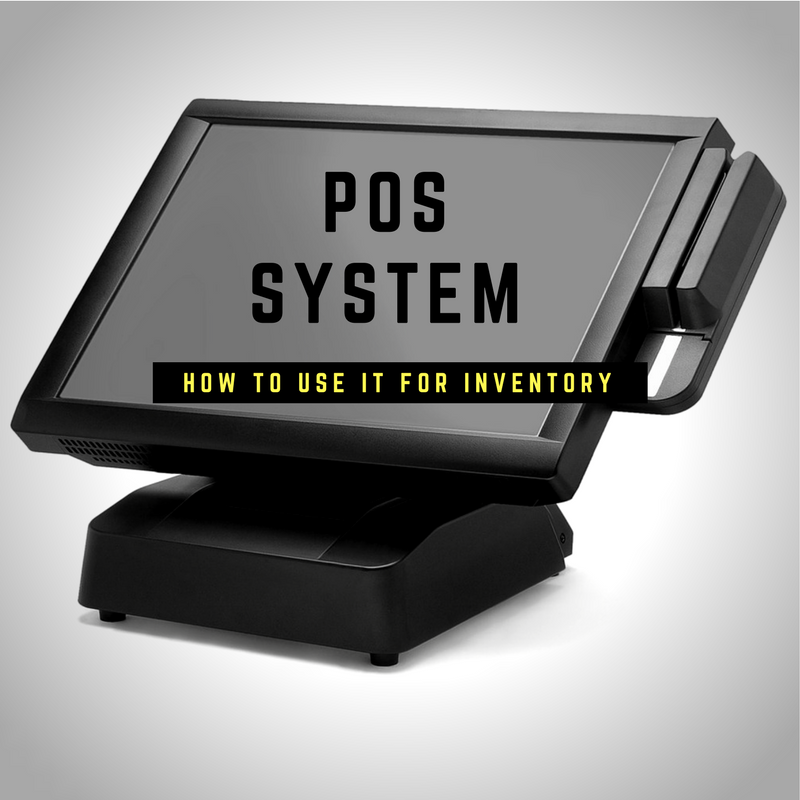 If you read this post about the must-have systems needed to maximize your POS systems, then you’re ready to learn how to use your POS system for inventory. Input your vendors: You need to know who you buy from, what their important contact information is, who the sales rep is for your account and any other information that is essential for your purchase order. Input what you’re purchasing: I can’t even begin to tell you how much time this step will save you in the long run. I can remember trying to prepare my weekly food order and not being able to because I didn’t have the specifics about the products I needed. I knew I needed shrimp, but I couldn’t remember what size, what type, the pack size, etc. I found myself fumbling through a big stack of invoices, looking for what size shrimp I usually ordered. And you know I never found it until I got to the very bottom of the stack — every time! But if you input the vendor name, name of products you order from that vendor, the price you last ordered it by and the pack size, you never have to shuffle through a stack of invoices again. Remember, when you think specs, think of every detail. Using shrimp as an example again, you can specify whether it’s tiger shrimp, bay shrimp, raw shrimp, cooked shrimp, etc., and the size of the shrimp, how many come in a pack and the price of that size pack. Create your walk-through sheets and inventory forms in order: Picture yourself taking inventory in your bar. Where do you start? Do you typically start behind the bar? Then that’s where you begin your inventory count in your POS system. You want to be able to visually walk through your establishment to take inventory and count every place there might be product. For example, if you start behind the bar, then you might move to the locked liquor storage area, to the server stations, the reach-in, then to dry storage and then on to the walk-in cold storage areas. And you might count the same product different times and it may be in different quantities. If you think about a bar, think about your garnishes. You might have a small jar of garnishes that you refill from the cooler, but you need to count both. So your inventory form will have a 20-ounce-jar of cherries behind the bar and a 160-ounce-jar of cherries in your cold storage. In a sandwich place, you might have six half-ounce rolls of roast beef in the refrigerated storage and an uncut roast in your walk-in cooler. To use your POS system for inventory, you have to set up the right count in the right unit size — by the each, the ounce, the case, or other measurement method. And you have to count it all to get an accurate inventory count. And when you enter this all into your POS system, it will total it all for you according to what you say you’re using in the bar and other areas in the restaurant. Input your recipes: The key here is establish standard recipes and portions, including batch recipes for sauces and such. Train cooks to that standard and regularly check their work to confirm the standard is being used. With your everyday menu items and batch recipes plugged into your POS system, you will be able to see very clearly if your ideal matches your actual. If your servers say they served 12 pork tenderloins and sold 16 martinis, your remaining stock should reflect that. If it doesn’t, you either have theft, a mismanagement of product and/or a need for training. Apply the FIFO principle: Your inventory should be rotated on a first in first out basis. Whatever you received last should be put behind the inventory you currently have on the shelves so that you’re using the oldest product first, even if there are only a couple of days between them. Along the same lines, every time a new batch of inventory comes in, update the pricing in your POS system. Enter your invoices and be sure the most recent price paid for each product is reflected. This keeps the value of your inventory current. Do you preach prep time to your bartenders, cooks, etc.? That prep time saves them during a busy period and helps the whole house flow more efficiently and effectively, doesn’t it? Well, the same idea applies here. Do your prep work, and you’ll have an efficient and effective inventory system. Using a POS system for inventory keeps you honest as well. With facts spoken to you by the system, you can’t deny when there is an issue. Do your walk-through inventory based on what your POS system says you should have and note how far off your actual inventory is. This will tell you everything you need to know about what’s happening in your restaurant. If you have a high pour cost and your ideal doesn’t match your actual, then you know with some training and some systems in place, you’ll be able to bring that sucker down. After you invest this much time into the preparation of your POS system, all it takes is 15 minutes a day to keep it current. Enter invoices, update recipe costing cards, pricing, etc. Commit to that 15 minutes per day and it will never feel like your inventory system owns you again. You won’t have a pile of paperwork staring at you every day, and you will look forward to inputting the information. Honest! I know every business owner likes to learn ways to put more money in their pocket. Use your POS system for inventory and you will find more money in your pocket!